I really like LOVE sweets! Any good intentions I have go straight out the window when I'm presented with a cupcake or bowl of ice cream. Or even it I'm not. Just having that kind of thing in the house is enough to make me trip up. Repeatedly. I'm always on the lookout for ways to get a sweet fix and still be a good girl. 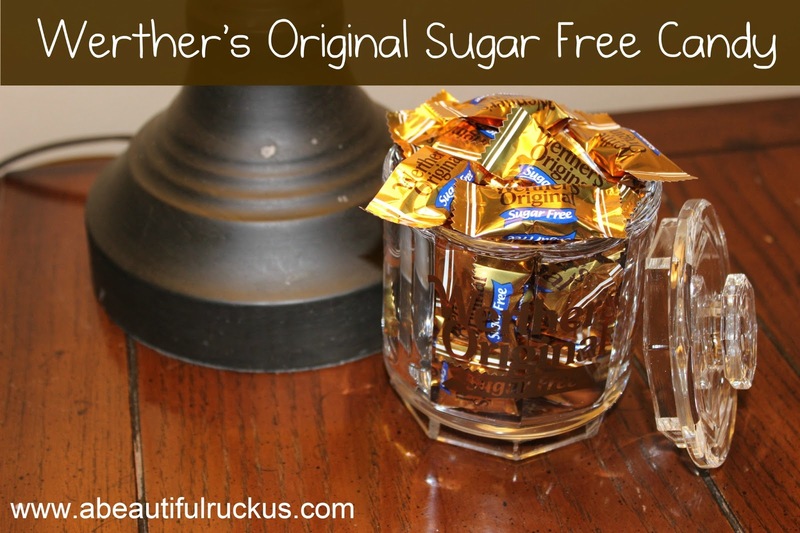 Enter Werther's Original Sugar-Free Candies. 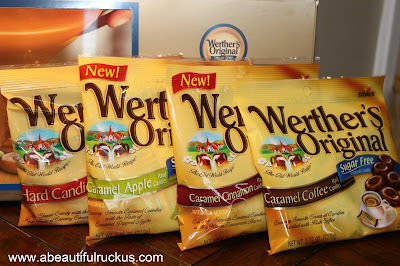 The company sent me a bag of each of their flavors: Classic Caramel, Caramel Apple, Caramel Coffee, and Caramel Cinnamon. It's my personal standard to never turn down an offer for candy. But the whole "sugar-free" thing had me wondering just how good these things are. I always go for the full sugar version of things, but since I already really liked the Original Werther's Candies, I figured it couldn't hurt to give them a try. Oh goodness (this time in a good way!)! These little candies are gooood! They are slightly smaller than the original full sugar version, but are still made with real butter and fresh cream so none of the flavor is lost. My favorite part? Each candy has only 8 calories and 3g carbs! Since I'm a calorie counter, these are a happy way to get my sweet fix without spending my day's calories on sugar (Oh, yes. I've totally done that). I highly recommend you check out the Werther's Original Sugar Free FaceBook page. They have more nutritional info, a contest for free candy, and coupons on there. Plus, they have a "Taste Guarantee," so if you don't like it, they will refund your money. The timing for the box to arrive really couldn't be better. I'm on the last few days of my DietBet, and I can't have anything derailing me now. My only problem is that Sean tried them when he came home from work last night, and he really likes them too! I might have to hoard them. Or go buy more. Or both. Yeah...probably both. I was selected for this opportunity as a member of Clever Girls Collective, and the content and opinions expressed here are all my own. For more info, please see my disclaimer page.